MIAMI — May 15, 2018 — Lyft, the fastest growing on-demand transportation company in the U.S., today announced that it has been named the exclusive rideshare partner of Brightline, the new and only privately owned, operated and maintained express inter-city passenger rail service in the U.S. The partnership is the first-of-its-kind for Lyft in Florida and will launch Saturday, May 19, to coincide with the start of Brightline's service to Miami and a Welcome to the 305 celebration. Both Lyft and Brightline are focused on providing an exceptional transportation experience for their guests. As part of this partnership, Brightline's three current stations will have Lyft branding and wayfinding signage indicating the location of designated official Lyft pickup and drop-off zones, whereby Brightline guests will be able to relax in a lounge-style environment while waiting for their ride. Additionally, the Lyft app will direct Brightline guests to the pick up zones to facilitate easily connecting with their Lyft driver. In the coming weeks, Lyft will also be integrated into the Brightline mobile app, enabling passengers to see their driver's ETA and the estimated fare of their ride before requesting the ride in the Lyft app. The partnership is the latest in Lyft's continued collaboration to make it easier and more efficient to connect between Lyft and other transit options, like Brightline. Lyft and Brighline's shared commitments to offer travel options that ease the stress of driving and affect positive change through transportation make this initiative ideal. These co-located stations will help close the gap between transit and passengers' doorsteps. Brightline will launch introductory service to Miami on Saturday, May 19, and Sunday, May 20, with a Welcome to the 305 Celebration at MiamiCentral, the 9-acre downtown station. The celebration will include in-station events, Cuban cuisine by David's Cafe and an appearance by Miami Heat player Udonis Haslem. To kick-off the partnership, both platforms are announcing special promotions and discounts for users. During Brightline's opening weekend, Lyft passengers can use code BRIGHTLINE305 to get $5 off a ride to- or from- any of the three South FLorida stations. 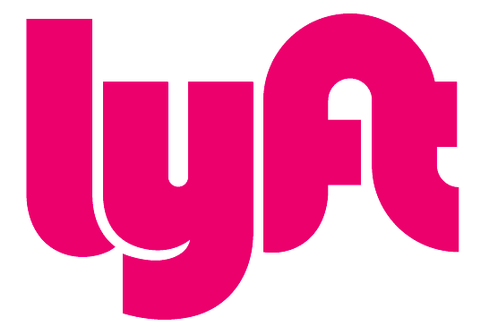 Lyft was founded in June 2012 by Logan Green and John Zimmer to improve people's lives with the world's best transportation. Lyft is the fastest growing rideshare company in the U.S. and is available to 95 percent of the US population and in Ontario, Canada. Lyft is preferred by drivers and passengers for its safe and friendly experience, and its commitment to effecting positive change for the future of our cities.